When it comes to drinks for the whole family we should be looking at all the benefits it can provide. Not just taste but actual nutrients. The Beetology juices are tasty, thirst quenching, and good for you! They are available in a variety of flavors that are all good! The Beetology cold pressed juices are actually made up of 100% juice! The variety of flavors include Beet & Lemon & Ginger, Beet & Veggie, Beet & Tropical Fruit, Beet & Berry, and Beet & Cherry. Mix them into dessert recipes, smoothies, or enjoy as is. The more you offer and make available better options for your family, the more they will reach for those healthy options in the long run. 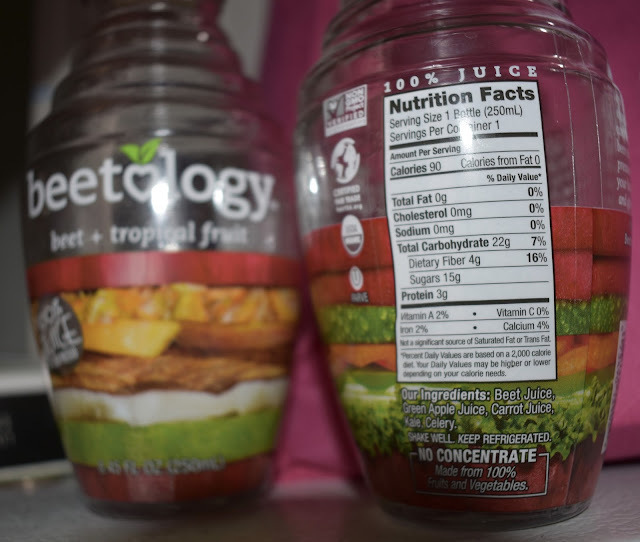 Beetology is a cold-pressed wellness beverage that no one will know has actual beets and other healthy real ingredients in them, I think even the pickiest of kids will like it. Although I do believe in letting children know all the ingredients in their food, including all the ones that are good for them. I think too often the word "healthy" gets paired up with bland or tasteless in one way or another. It is products like Beetology that can change that, and make healthy products be known as tasty foods that happen are good for you too. The glass bottle attracts people as it is colorful and uniquely shaped. Perfect for anytime enjoyment, offering 100% juice in each bottle, you'll feel confident offering it as a drink with meals and alone. I love reading a label of a product for my family and seeing a short list of real ingredients. I am so happy to learn that Beetology beverages contain no more than five ingredients. All five varieties are 100% non-GMO, USDA Certified Organic, and Certified Fair Trade. The 100% juice blends contain no preservatives, additives, artificial colors, or flavors. They are also non-soy, non-dairy, and certified kosher. 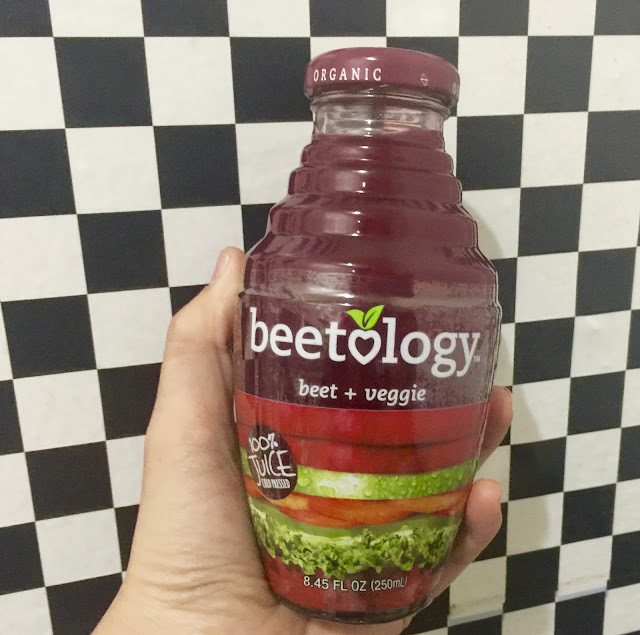 "The myriad benefits of beets are well-documented. Dense in nutrients and high in antioxidants, they help boost energy, aid in weight loss, support cleansing and detoxing, and have anti-inflammatory properties. They’re also known to improve blood flow and help lower blood pressure." Beetology is produced by Kayco, based in Bayonne, New Jersey. For more information including where to buy visit www.kayco.com.